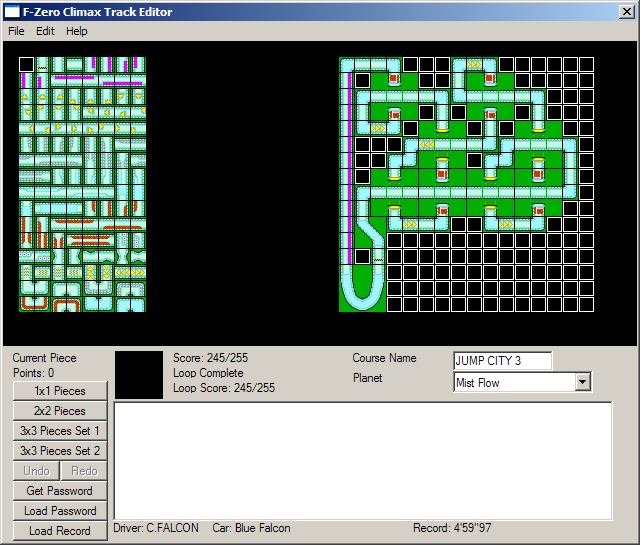 A track editor for F-Zero Climax. The source code is also included. Unlike the game version of the level editor, this one can allow you to overlap vertical jump pieces with horizontal 1×1 pieces, as shown in the screenshot. Unfortunately it does not allow for overlapping horizontal jump pieces with vertical 1×1 pieces due to the game rendering such a track configuration unplayable.